Some trails lend themselves to short, leisurely walks, while others are suitable for vigorous, half-day hikes. 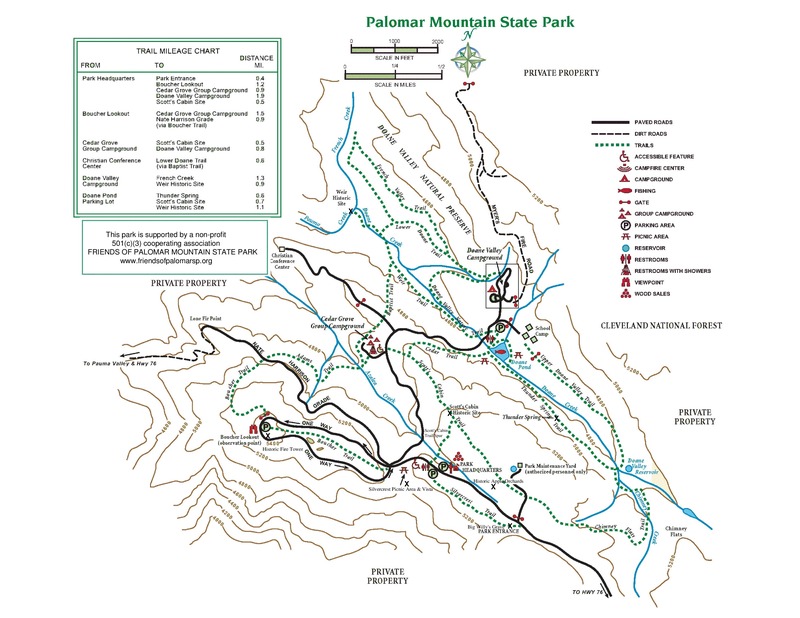 All the trails can be stitched together for a rugged all-day hike. Some important notes: Please don't take anything home except memories and photographs. All features are protected, and disturbing or collecting is not allowed... even pine cones. Leave any historical artifacts you might find alone and report the location to park staff. An artifact “out of place” is historical knowledge lost. Trails are open to foot traffic only. Dogs, horses and mountain bikes are not allowed on trails. However, dogs on a 6' leash are permitted on Myers Fire Road which begins on the east side of Doane Valley Campground. (﻿See map﻿﻿. Starts beside Campsite #9.) 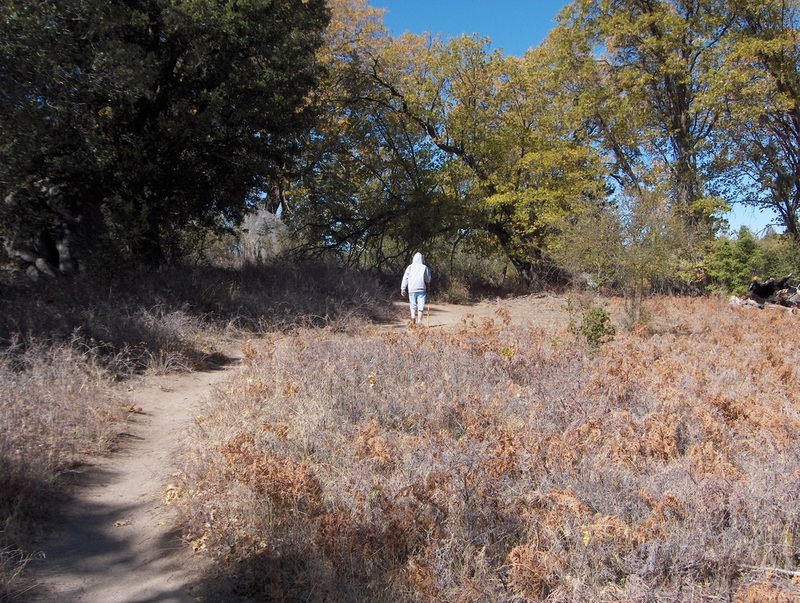 For an excellent review of this much overlooked trail, see San Diego trail expert Priscilla Lister's blog found at TakeAHikeSanDiego.com.